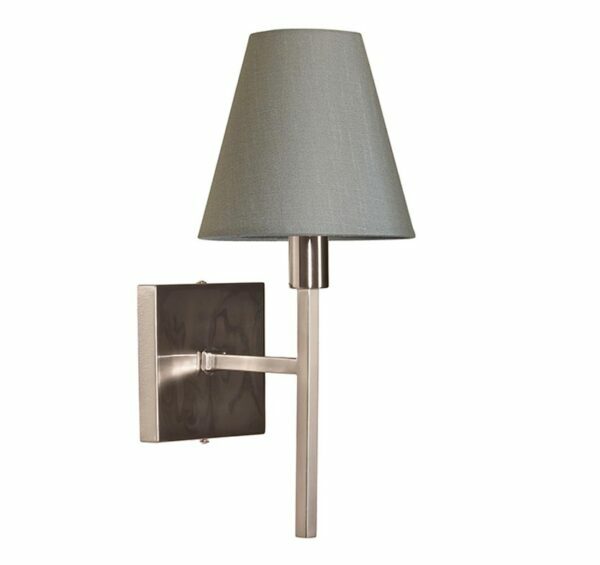 This Elstead Lucerne single wall light in brushed nickel finish with grey shade is sleek and contemporary. Featuring a square wall mount, right angled arm and upright square bar stem, with bright nickel lamp holder and grey cone shade. Ideal for a bright and airy dining room, hallway, bedroom or living room wall. The new Lucerne collection is sleek, minimalistic and an ideal companion for modern living spaces. Available as wall or ceiling fittings, this range is finished in soft nickel and is supplied complete with soft grey cone shades. There are matching fittings available in the Lucerne lighting range; please see below for the complete collection. This modern design is supplied by Elstead Lighting, a British company that specialise in the manufacture and distribution of quality decorative lighting such as the Lucerne single wall light in brushed nickel finish with grey shade you see here.